One of the first and most loved of the super groups from Britain, Humble Pie established their sound from the off. Former Small Faces leader Steve Marriott, fellow guitarist and vocalist Peter Frampton (ex-Herd), Spooky Tooth bassist Greg Ridley and the mighty teenage drummer Jerry Shirley convened at Steve’s Essex home in 1969 while the Small faces were still operating, but since his heart was no longer in the repetition of his extraordinary pop hits and hadn’t a desire to turn it up, rock a new metal brew ,he had no difficulty in persuading his new found accomplices that fame and success were there for the taking. Marriott would boss ten studio albums with the Pie before his tragic death in a house fire in 1991. We recommend that you investigate these and we also offer the classic live album Performance Rockin’ The Fillmore, where the band’s majestic stagecraft is captured to thrilling effect. In fact Humble Pie made their name in America with this double dose of hard rock, blues and then upped their game on smash albums Smokin’ and Eat It. Despite their sales, the tickets they shifted disastrous management problems beset the Pie and so while fame and success did indeed arrive as Steve had promised, the money that usually accompanies those twin impostors never followed. They were perhaps taken for granted by their British fans – in the way that knew them, loved them and didn’t want to wave bye bye. Their biggest single hit was actually their first release, the epic ‘Natural Born Bugie’ (1969) though the US market made FM hits out of ‘I Don’t Need No Doctor’ and ‘Hot’n’Nasty’. Their legacy lies in providing an organic, unpretentious blend of rock with Marriott’s throaty boy soul vocals fronting the package. They could play too, each man was a virtuoso on his chosen instrument and when Frampton quit to pursue the little matter of a solo career that gave the world the Frampton Comes Alive album, new recruit Clem Clempson slotted in seamlessly. The great if ironic thing about Humble Pie is that they slipped off the radar, which means they are ripe for rediscovery now. Tell you what I’ll do, Steve Marriott told Ridley, Shirley and Frampton. I’ll skip off school and we’ll go and make a million dollars. For Shirley, who was drumming with the Apostolic Intervention, it was a no-brainer. Steve was already his hero. Frampton needed more persuasion, but Ridley was ready to throw in his lot with the king of the mods. Rolling Stones Svengali Andrew Loog Oldham managed them for a while and signed the group to his Immediate label and got them cracking on the debut album As Safe As Yesterday Is, a typical Marriott conundrum. Rolling Stone magazine used the term ‘heavy metal’ to describe this brutal introduction, but just as crushing rock riffs abound, so doers a lush form of English folk, blues and pop. The album opener, a cover of John Kay/Steppenwolf’s ‘Desperation’ is a pretty heavy way to make your presence felt. There are many other great songs here. 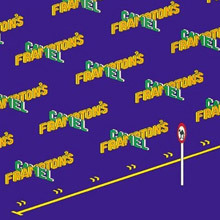 Frampton’s ‘Stick Shift’ has the dual guitar attack down to a T and Steve’s ‘Bang!’ and ‘Buttermilk Boy’ reveal his melodic side hadn’t gone AWOL at all. Thanks to the success of ‘Natural Born Bugie’ the Pie hit the ground running and follow up discs Town and Country and the self-titled Humble Pie (1970) presaged the ability to move from a familiar repertoire to an increasingly heavy, moodier sound with producer Glyn Johns pushing all the right buttons. Peter Frampton quit after Rock On ,but he left behind a desirable role. With key guests like Bobby Keys, P. P. Arnold and Alexis Korner helping out, not to mention the US backing genius of Doris Troy and Claudia Lennear, the Pie had perfected their potent style – R&B meets take no prisoners rock and roll – just in time to capture that bright light on Performance Rockin' The Fillmore. This 72 minute wonder includes a mammoth jam across Dr. John’s ‘I Walk on Gilded Splinters’, another visit to Willie Dixon’s ‘I’m Ready’ and a ridiculously exciting take on Muddy Waters’‘Rollin’ Stone’ where Marriott reclaims his position as one of the UK’s best ever performers. Perhaps the best is left until last. Stevie’s blistering version of the Ashford & Simpson soul sizzling ‘I Don’t Need No Doctor’ still sounds like a contender for the best British singing ever. It’ll make the hairs on the nape of your neck stand to attention. Performance certainly did the trick for the group. It was their first certified Gold record and helped to turn the previous album Rock On into precious metal. In retrospect one would have to say this was the highlight of Humble Pie in the Frampton era, but the arrival of Clem Clempson for Smokin’ gave them a different but equally viable guitar sound since he brought in the kind of chops he’d perfected with the jazz rock troupe Colosseum. Guests here include Steve Stills on keyboards and vocals, Alexis Korner on mandolin style guitar and more thrilling female BVs, this time from Apple recording artiste and soul legend Doris Troy and Madeline Bell (Blue Mink). By now one can hear that the Pie have got the whole sexually charged heads down and boogie vibration off pat and another double, Eat It gives fierce rival Rod Stewart a run for his ‘Maggie May’ money. From here on in Humble Pie always present a creditable front. Personnel changes will complicate their latter history and Steve’s ridiculously early death, as well as the sad passing of Greg Ridley, means that their later recordings have a poignant, posthumous appeal. But, remember them in their pomp at the Fillmore East, New York City, before a baying crowd of fanatics and converts. Then you’ll realise they just don’t make ‘em like this anymore. Check out immediately! The original Performance: Rockin' the Fillmore was one of the classic double-live albums of the '70s: a two-LP set from a band that had yet to have a hit but were earning a reputation as in-concert monsters, grinding out a living on a circuit that brought them from coast to coast in America. It was, by design, the opposite of what Steve Marriott experienced as the leader of the Small Faces: this was heavy, improvised blues rock where live moments trumped the studio. 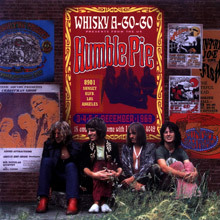 1970's Humble Pie and 1971's Rock On suggested the churning improvisations of Humble Pie at their peak -- and not long afterward they'd streamline their jams into something easier to digest -- but the Performance LP captured the group at their elongated best, playing for upwards of a half-hour without a care in the world. 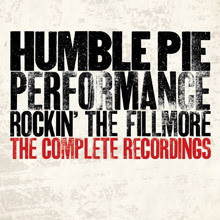 Such instrumental indulgence was commonplace in the early '70s, but disappeared in the decade afterward, so Omnivore's enthusiastically exhaustive 2013 box set Performance: Rockin' the Fillmore - The Complete Recordings winds up capturing two distinct phenomenon: Humble Pie's peak as an improvisatory blues-rock band, but also the era when rock bands who weren't the Grateful Dead could ensconce themselves on-stage and play endlessly, not caring for the audience's reaction as much as their own edification. Omnivore's four-disc set rounds up the entirety of the band's four-night stint at the Fillmore East and, as such, each disc is almost identical in attack on the set list. Every night, the band runs through "Four Day Creep," "I'm Ready," "I Walk on Gilded Splinters," and "Hallelujah (I Love Her So)," then ends with some combination of "Rollin' Stone," "Stone Cold Fever," and "I Don't Need No Doctor." 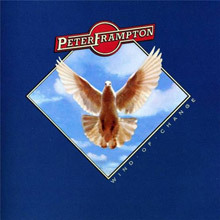 This repetition means the complete Performance can be too much to take in one sitting, but its indulgence is what's appealing; listen to this in batches and not at once, and it's easy to appreciate the group's elongated, elliptical boogie and, particularly, the back and forth between Marriott's pirouetting frontman act and Peter Frampton's muscular leads. Soon, this kind of never-ending jam fell out of favor and that's why this reissue is so valuable: there was a time where this kind of self-congratulatory improvisation was not only accepted but expected and Performance: Rockin' the Fillmore - The Complete Recordings not only captures that point in time, but in its exacting detail it illustrates how this self-satisfied instrumental exploration could be a very good thing. This audio release of music from Humble Pie's U.S. tour in 1969 constitutes a helpful addition to the band's early recording history, which had been limited to the pair of studio LPs cut for Immediate Records. The opening number is an all-acoustic reworking of Graham Gouldman's "For Your Love," a showcase for Peter Frampton's acoustic guitar and Steve Marriott's soul shouting, and about as different as one could imagine from the compact, punchy Yardbirds rendition. 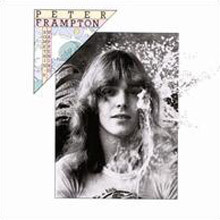 The drums and the harder playing kicks in for "Shakin' All Over," which is similarly bent out of its familiar shape and pushed -- Frampton and Marriott's guitars and vocals are all over the map on the song, which is just about recognizable despite the absence of the familiar central guitar riff. "Hallelujah I Love Her So" and "The Sad Bag of Shakey Jake" are intact and nicely played, and are what one would expect and hope for from an actual live album. The finale, "I Walk on Gilded Splinters," is an extended jam that goes through a few interesting changes, but it just doesn't have the energy or cohesion to sustain its 20-minute length. The overall audio quality is above average for a live recording of this vintage, and the multi-track tapes were mixed under the supervision of surviving bandmember Jerry Shirley. It's not a truly great moment in the band's history, alas, but it is a flawed artifact of an early chapter in that history.